These two short videos are priceless! They were created by students at the Stanford Design Institute. The first one shows how NOT to brainstorm and the second one shows HOW to do it effectively. They picked a fanciful problem to solve - saving your chewing gum when you go to class. The worst case example happens all the time. In fact, I was at a meeting last week with people with whom I don't normally work, and we were "brainstorming" about a new program. One person made a suggestion, and someone else literally responded with, "Go shoot yourself." For anyone who has spent any time polishing their brainstorming skills, they know that the FIRST rule is to defer judgment. This was a great, real life example of how NOT to do it. - Go for volume - the more ideas the better! Helpful information. However, brainstorming is best preceded with clear definition of a user, his/her need, understanding of the problem, research in what has been done before and criticism of present state of the art. What is the problem for specific user? Why is it needed? What are metrics for evaluating alternatives? Vision for success? Agreed! Brainstorming is not useful unless is part of a process that includes observation, research and definition of the user and the problem. This video however intends, specifically, to showcase good and bad mindsets and habits that will make the ideation phase of the process succeed or fail. 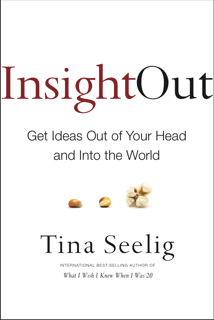 Good executive summary on this great subject of brainstorming; thank you!.. Brainstorming is easier if the participants have involved in previous sessions together as a team. If there are new participants in the team, I think always helps to recap the ground rules just to make sure everybody is on the same page prior to the brainstorming session. 2. Circling back to the ideas and polishing them to make them great ideas that can be implemented. In other words, ideas that you come up in step 1 are the rough diamonds and step 2 is the diamond polishing and cutting process. So with brainstorming you want quantity of diamonds no matter what you think the quality of them are because until you do step 2 you will not fully know. That crappy looking rough diamond with some polish later could be a real gem. Start here! 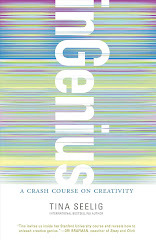 Creativity is the front end of the entrepreneurial process. If you don't begin with a fabulous idea, nothing of value will result... This blog showcases creativity in all of its forms, with the hope that it will be both educational and inspirational. 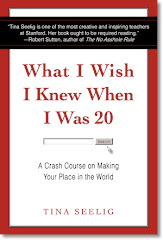 What do YOU wish you knew when you were 20?